I’ve been a fan of maps and mapping for a very long time. I have had a huge collection of 15-minute maps dating from the late 1800’s and into the early 1950s for many years. I have acquired quite a few of the avaiable Sanborn insurance maps for the many small communities around where I live. Basically, I love cartography and any excuse to own an old map is good enough for me. Recently I have discovered some embarrassing failings in my own knowledge about the words used to describe a map. For instance, what would you call this? I searched on ‘cartography terms’ and failed to find it. I drew this, but at the time I didn’t even know what to call it. It is inserted into the upper-right hand corner of a map to add some illustrative beauty to it. But what does one call it? I mentally thought of it as an artsy-wingding, but when you actually create one, it does make you more curious. I searched on ‘cartography terms’ and failed to find it. It isn’t any better when you search on ‘parts of a map.’ I eventually gave up and never found a good word to describe what I’d drawn. 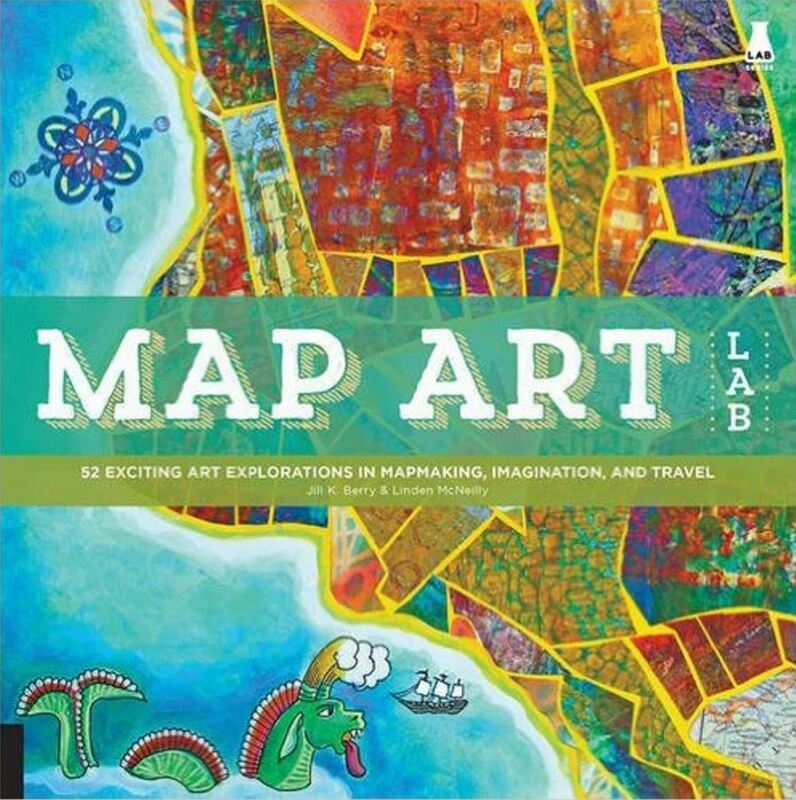 A few weeks later and completely by accident, I stumbled across the answer in a book named ‘Map Art Lab’ which details over 50 art projects related to maps and mapping. Because these sort of additions are artistic in nature, the authors had managed to find and share the term. Artistic mapping flourishes held away from the map are called cartouches. It sounds like car-tooshes when pronounced. 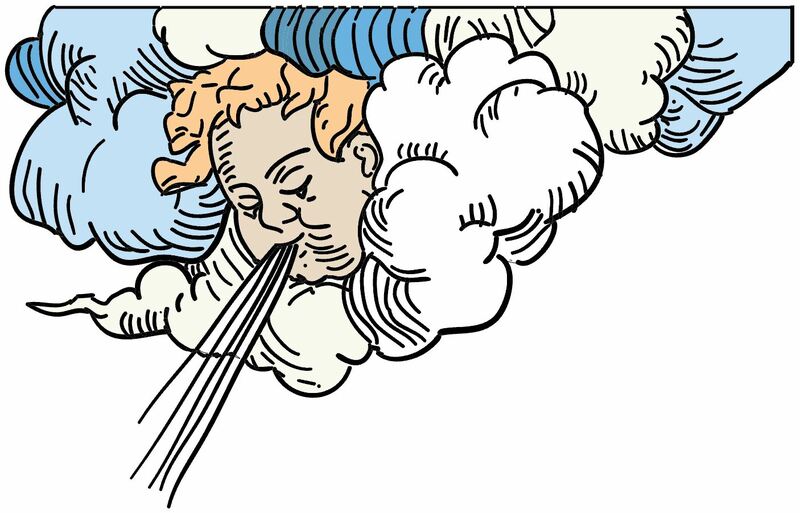 Generally this is limited to an authors or publishers shield or badge, but might also extend to peripheral artwork away from the map, such as strange sea beasts in bodies of water or 4 windy corners. The introductory image is an example of a cartouche. As long as we are on the subject, I know of another rarely used cartographer’s term. Most professional maps have a border going all the way around the cartography. These are called ‘neatlines,’ presumably because they keep the map neat looking. I’ve occasionally seen the neatline made so that it contained scale markings, making it doubly-useful, but usually they are merely decorative.